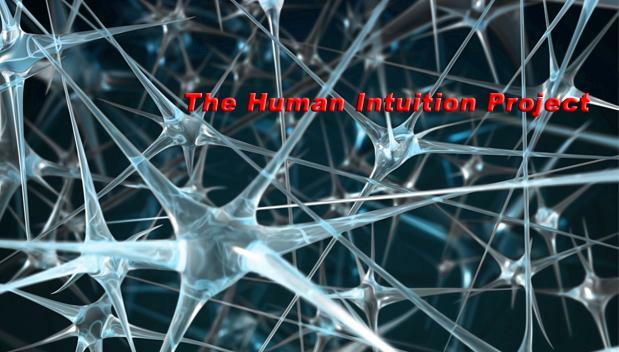 The Human Intuition Project: A historic day for the internet! Or did I say hysteric? A historic day for the internet! Or did I say hysteric? Intuition is about "situation understanding", and that situation understanding has to do with how one perceives things. How one classifies events and the stuff in them. I've commented previously on the initial perception of the iPod. But when I did that comment I did it in hindsight. So, I guess it is only fair to analyse a controversial event that just happened today; and is making the alpha geeks crazy about it. Some, like me, say it's historical, full of hope; others say it's hysterical, full of hype. A couple of years from now and we'll know who's right. Mountain View, Calif. - February 22, 2007 - Google Inc. (NASDAQ: GOOG) - today introduced Google Apps Premier Edition, a new version of Google’s hosted services for communication and collaboration designed for businesses of all sizes. Google Apps Premier Edition is available for $50 per user account per year, and includes phone support, additional storage, and a new set of administration and business integration capabilities. Google Apps™, launched as a free service in August 2006, is a suite of applications that includes Gmail™ webmail services, Google Calendar™ shared calendaring, Google Talk™ instant messaging and voice-over-IP, and the Start Page feature for creating a customizable home page on a specific domain. More than 100,000 small businesses and hundreds of universities now use the service. Google Apps Premier Edition now joins Google Apps Standard Edition and Google Apps Education Edition, both of which will continue to be offered for free to organizations. "Procter & Gamble Global Business Services (GBS) has enrolled as a charter enterprise customer of Google Apps, a successful consumer product suite now available to enterprises. P&G will work closely with Google in shaping enterprise characteristics and requirements for these popular tools," said Laurie Heltsley, director Procter & Gamble Global Business Services. "So much of business now relies on people being able to communicate and collaborate effectively," said Gregory Simpson, CTO for General Electric Company. "GE is interested in evaluating Google Apps for the easy access it provides to a suite of web applications, and the way these applications can help people work together. Given its consumer experience, Google has a natural advantage in understanding how people interact together over the web." Google also today announced that all editions of Google Apps now include Google Docs & Spreadsheets™. In addition, Google Apps now supports Gmail for mobile on BlackBerry™ handheld devices. "Businesses are looking for applications that are simple and intuitive for employees, but also offer the security, reliability and manageability their organizations require," said Dave Girouard, vice president and general manager, Google Enterprise. "With Google Apps, our customers can tap into an unprecedented stream of technology and innovation at a fraction of the cost of traditional installed solutions." 10 GBs of storage per user – Offers about 100 times the storage of the average corporate mailbox, eliminating the need to frequently delete email. APIs for business integration – APIs for data migration, user provisioning, single sign-on, and mail gateways enable businesses to further customize the service for unique environments. 99.9 % uptime – Service Level Agreements for high availability of Gmail, with Google monitoring and crediting customers if service levels are not met. 24x7 support for critical issues – Includes extended business hours telephone support for administrators. Advertising optional – Advertising is turned off by default, but businesses can choose to include Google’s relevant target-based ads if desired. $50 per user account per year – Simple and affordable annual fee makes it practical to offer these applications to everyone in the organization. Google Docs & Spreadsheets – With this addition, teams can easily collaborate on documents and spreadsheets without the need to email documents back and forth. Multiple employees can securely work on a document at the same time. All revisions are recorded for editing, and administrative controls allow organizations to define limits on document sharing. According to custom analysis of Nielsen//NetRatings MegaPanel released this week, 92 percent of users of online productivity tools last October used Google Docs & Spreadsheets, making it the number one product in its class. Gmail for mobile devices on BlackBerry – Gmail for mobile devices provides the same Gmail experience – such as search, conversation view and synchronization with desktop version – on BlackBerry handheld devices for users of Google Apps. Gmail for mobile devices joins a list of other mobile options for Google Apps and BlackBerry users that already includes a Google Talk client and a variety of calendar sync tools. Application-level control – Allows administrators to adapt services to business policies, such as sharing of calendars or documents outside of the company. "When it comes to our email systems, our doctors don’t have the time or the budgets to deal with managing technology or defending against spam," said Andrew Johnson, chief information officer, San Francisco Bay Pediatrics. "With Google Apps Premier Edition we don’t have to worry about downloading the latest spam filters or navigating unwieldy servers. This is where we let Google do what it does best, so we can do what we do best – help our patients." In addition to Procter & Gamble Global Business Services and San Francisco Bay Pediatrics, other early adopters of Google Apps Premier Edition include Salesforce.com and Prudential Preferred Properties in the U.S., as well as Essilor and Mediametrie in France. To provide more options and value to customers of Google Apps Premier Edition, Google Enterprise Professional partners like Avaya and Postini are developing a variety of solutions based on our APIs, including email gateways, enhanced security, Google Calendar synchronization, third-party integration with Google Talk, as well as offering deployment, migration, and additional support services. Google hosted applications are available in many local languages, such as French, Italian, German, Spanish, Chinese, Japanese and Korean. Please visit http://www.google.com/a for details on the product, local availability, partners and customers. [Google's] nearly full-service suite of sophisticated, integrated online services is something of historic proportion. Google’s technological brilliance is only beginning to be recognized. What do I mean by that? I mean that with its powerful algorithms to analyze and contextualize information, combined with its growing catalogue of information to analyze - Google is an epoch defining company. Send the world’s business communication through Google and the machine gets a whole lot smarter. Google is taking aim at one of Microsoft’s most lucrative franchises. On Thursday, Google, the Internet search giant, will unveil a package of communications and productivity software aimed at businesses, which overwhelmingly rely on Microsoft products for those functions. The package, called Google Apps, combines two sets of previously available software bundles. One included programs for e-mail, instant messaging, calendars and Web page creation; the other, called Docs and Spreadsheets, included programs to read and edit documents created with Microsoft Word and Excel, the mainstays of Microsoft Office, an $11 billion annual franchise. Unlike Microsoft’s products, which reside on PCs and corporate networks, Google’s will be delivered as services accessible over the Internet, with Google storing the data. That will allow businesses to offload some of the cost of managing computers and productivity software. For corporate technology staffs, “we think that will be a very refreshing change,” said Dave Girouard, Google’s vice president and general manager for enterprise. What is so innovative here? with respect marshall, how much hyperbole! I’ve said it before: Google haven’t innovated for 2-3 years now. (i) Google’s guarantee of 99.9% uptime. This does not mean 0.01% downtime. It means that Google is willing to back up the promises they make; and that, in the long run, will bring confidence to business. I’ve been frustrated once or twice about contacting my bank, after some years long relationship. But that frustration for their “downtime” does not necessarily mean changing provider. (ii) The IT guys (that would be laughing in a comment above) should really be the first ones to start crying. This is more an attack on them than on MS, and in the economic inefficiency of every single company having to buy a bunch of servers, maintain those, update them, and of course hire hire and hire a bunch of expensive people to run email & calendaring. (iii) To compare this to ms-office is to misunderstand the whole thing. It’s like saying an iPod can’t write songs; can’t compose music. The minor announcement that docs & spreadsheets were now integrated is not even close to the real issue. They are neat tools, great for collaboration. I can imagine a manager in the morning emailing people about some problem they face and the whole group putting their views on a doc, instead of emailing opinions and arguments back and forth and back and forth and back and forth; by the end of the day a collaborative effort brings up a rough sketch. That is a productivity gain. (iv) The docs & spreadsheets integration is a MINOR issue. The MAJOR issue is that, soon, we should see blogger integration, google reader, a presentation-sharing tool, picasa web photos, wikis, and a whole lot more I don’t remember at this precise second. All of them improve productivity, and, when taken together, when a click away, and after people have learned how to use them, then the productivity boost is really huge. To say that this is an attack on microsoft office and therefore it will fail, is, to me, very myopic, just like those iPod skeptics that thought “this thing will never sell”. Yet, years from now, Ms-office might just be a tool for “polishing” up documents. Then again, not all documents need to be polished; and, moreover, other companies that integrate their offices with Google’s tools might just make it a whole lot better. When thinking about tech, we can’t just think where it is; we need to think where it’s going. What the potential is. This thing today was of incredible historic proportions. Not because of what’s on offer–though the offer is already great; but because it will only get better. People will be more productive AND costs will be saved. Laugh as much as you want; but think again when you start to see big corporations jump into Google’s efforts, both to improve productivity, and to save dozens of millions of bucks per year. The IT guys in the backrooms better stop laughing and better get prepared. In many thing I agree Google Apps is competition for Exchange NOT Office. My bet is Google Apps will move towards file synchronization... and you will be able to do that through the API.... and the API is the key.. not the AJAX interface. The Google APPs (with its API) is the organic counterpart to Microsoft/BT marketplace… http://news.zdnet.com/2100-3513_22-6161402.html.